With illness cutting short his successful playing career, twice French Open finalist and former world No.4 Robin Soderling is now coaching. He took time out to chat about that, and more, with Tennismash. Tennis, for a time, wasn’t exactly kind to Robin Soderling. From 2008 to 2011, he was among the game’s elite, winning eight titles, reaching world No.4 and going toe-to-toe with the very best players in a golden era of tennis. Of course, everyone remembers the epic 2009 French Open fourth-round match in which he stunned Rafael Nadal, who at the time was a four-time Roland Garros champion and had never lost a match at the tournament. Sadly, at just 26 years of age, the Swedish phenom was forced to call time on his career after contracting mononucleosis. The harsh reality of retirement took its toll on Soderling, but five years on, he is happy as a father, husband, tennis coach and successful entrepreneur. We caught up with the two-time Grand Slam finalist to talk about all that: the secret to beating Nadal on clay, the future of Swedish tennis, prime Djokovic versus prime Federer, and R-S Tennis, his popular line of tennis balls and strings that are used widely in the NCAA and the ATP world tour. Tennismash: How is your health these days? Robin Soderling: I feel good now, finally. I struggled a lot for many years. It took many years to fully recover and they were the toughest years of my life by far. Even though I had to retire I’m really happy that I feel healthy again. Is there a sense of unfinished business, or being robbed, by the fact that illness cut short your career? Yeah, a little bit. It’s easier now but sometimes when I watch tennis on TV there are quite a few players my age performing really well, and I played against them many times and beat them many times. I still think I had a good career, I made many friends from my playing career so I try to see the positives. It’s also nice to still be involved in tennis through coaching and R-S tennis – basically everything I’ve done since 12-years-old is in tennis so I never wanted to leave it. Bigger achievement: reaching your first Grand Slam final at Roland Garros 2009, or advancing to the final again a year later? Reaching the final the following year. Obviously beating Rafa and reaching the final in 2009 was special but I was really happy that I stayed top 10 and beat Roger to make the final again before losing to Rafa. Quite a few players can do well in one tournament but it’s a completely different story doing it throughout the years. I proved to myself that I really belong in the top five players in the world. Do you think you would have won a French Open if your career wasn’t cut short? Yes, many times [laughs]. Just a joke. The last three or four years of my career, even though I was not the favourite in the Grand Slams, I always felt that if I played well I had a chance to win. In the beginning of my career, I was just happy to win a couple of rounds. But yeah, maybe. Maybe I would’ve won one. What’s the secret to beating Rafa on clay? You have to play really aggressive. I didn’t worry about him, I tried to be aggressive and made sure not to give him any time and put pressure on him all the time. If you stay on the baseline and play cautious it’s impossible to beat him. I had to take chances and go for my shots, and that day it worked really well, I was hitting the ball extremely well. Who’s better: Novak in his prime or Roger in his prime? I always had tough matches against Roger. Playing against Djokovic, Nadal, I could go off the court and feel I played well. But against Roger, he just made me play bad. Hm…but if they are both at the top, I think Novak would beat Roger more times than the opposite. He moved so well, got so many balls back. That’s really tough for Roger because he might play too fast, he would panic a little bit. But it’s really tough to say. What were your impressions of the tour this year? There were so many guys that were injured, and tennis can only blame itself for that. The season is way too long, it’s not like other sports where you have a three, four-month off-season where athletes can rest and recover. In tennis, we have a few weeks in December and that’s it. You start again the day after New Year’s Eve. The sport would really benefit from having a longer break. 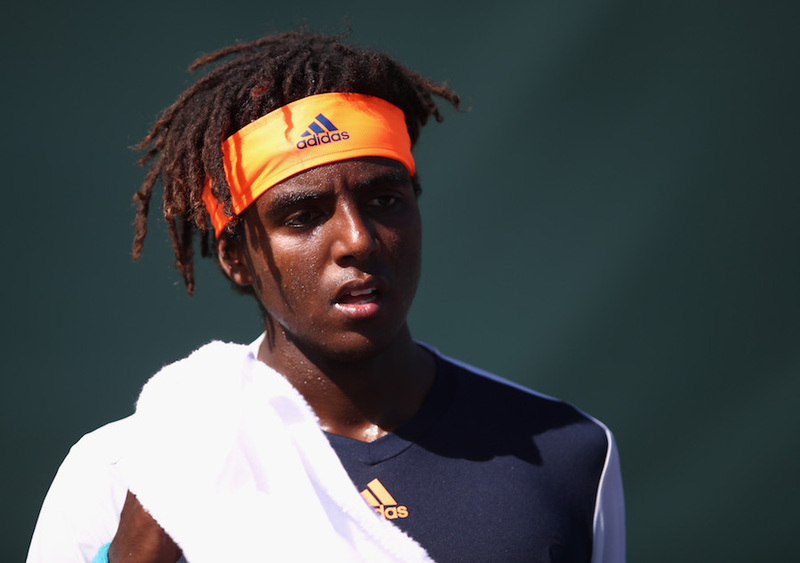 You’re currently coaching Elias Ymer. There has been a lot of hype around Elias – what can you tell us about him? Elias is a young player. He’s only 21. He had a really good junior career and he had a good start professionally but I noticed he was struggling with some things in the past year and a half. I’ve been working with him since July and we’ve been working on a lot of different things. Mentally, he was struggling; he was always so focused on having to play well all the time and forgot that what matters is to win matches – it doesn’t matter if you’re not playing you’re best all the time. He dropped from 160 [in the world] to 280, so he lost a lot of confidence and was playing way, way back behind the baseline. He wasn’t aggressive enough and in today’s tennis you have to be aggressive. He’s a quick learner and he’s already improved a lot in six months; he’s back to 144 and has a good chance in the [Australian Open] qualifiers in Melbourne and he’s playing way more aggressive now. Do you and Elias have any goals for him in 2018? I have goals for him, but I keep them to myself. I don’t think he should be focused on rankings or match wins. For him, the most important thing is that he focuses on getting a little bit better every day. To truly improve takes time. Every day he should feel that he gave 100 percent; I think that’s a much easier approach because it’s tough to look at other players – there will always be players playing well and that’s not in your control, what you can control is how you play yourself. What’s your impression of Swedish tennis right now? It’s struggling a lot. We were the best country in the world in the 1980s. Pretty impressive for a small country. I think the [Swedish] federation got lazy. It started off with Bjorn Borg, Stefan Edberg and Mats Wilander, and tennis was so popular in Sweden and all the talented kids chose tennis over football and ice hockey. But, like any other sport, tennis has evolved and improved, but the coaches in Sweden didn’t improve and the training methods stayed the same. I think it’s going in the right direction now. We have a lot of successful former players in the coaching world and we’re starting to see some talented young players like Elias, his brother Mike and some 15 and 16-year-olds coming through. How important has it been to be involved in tennis in many different capacities? I love the sport. I was the tournament director in Stockholm and that was a great learning process for me. The coaching thing I’ve really enjoyed because it’s the closest I can get to playing. But it’s really difficult for me to get those feelings of going in front of a big crowd in centre court, that experience you can never get in a regular life. But those feelings that I miss the most, I kind of get them from coaching; the preparation and the competitiveness, and getting a little bit nervous. Who’s who in Novak Djokovic’s massive entourage? Who’s going to win the Australian Open? I wouldn’t be surprised if Novak and Andy do well, but I think Federer. When Federer played his best last year, no one could match it. Not even Nadal. Rafa finished the year world No.1, but if Roger would have played the clay season he would have finished as No.1.